They say that crows usually mate for life. George and Mabel have certainly stuck together through good, and some very bad, times — so, in honour of Valentine’s Day, here is their story. I wrote about some of their trials and tribulations about a year ago in the blog post George’s Tough Year. This is the next installment of their story. In spite of babies lost to illness and a seemingly catastrophic injury, George has kept on keeping on and, with the help of his mate, Mabel, seems to be thriving. We never did figure out what exactly caused George’s beak to break. Theories have included: crash landing; attack from other birds; and a run in with a rat trap. I don’t think George is going to tell me any time soon. In any case, I hardly think he notices his half-beak any more. He’s developed his own method of scooping up food, turning his head upside down for a more efficient “shovelling” action. You would think that other crows would take advantage of George’s disability, but he and Mabel, as a team, are a force to be reckoned with. While George comes down to pick up their breakfast, Mabel stands guard on a higher roof and warns of incoming interlopers. George’s great advantage over other crows is that he’s not afraid of me at all. If I’m present, the other crows are too afraid to come and eat, while George regards me as his personal catering manager. If I forget one of his “snacks” he will perch right by my studio and stare meaningfully at me through the window until I get the message. In 2015 they had a baby but s/he was terribly afflicted by avian pox and died as soon as the cold weather came. Last summer I watched carefully to see what would happen. They had two babies. One didn’t make it, but the second is hanging in there. Boy/Girl George, as I like to call him/her has a small foot deformity, but has survived a bitterly cold winter, so fingers crossed. George and Mabel are working incessantly to make sure their offspring thrives. After George has collected the food I put out (and he can cram an amazing amount into his gullet and beak) he flies off to share the bounty with Mabel and the baby. I think George is trying to show Junior the food collecting ropes, but s/he remains skittish about coming too close for now. So this Valentine’s Day, we can celebrate the many kinds of love. From the giddy excitement of first infatuation, to the less dramatic but lifelong kind that George and Mabel enjoy. Happy Valentine’s Day from George and Mabel! HVD to the crows ❤️🎶🏡 Delightful story! Long may they live. Lucky they have you to watch out for them. Thanks. I have lots that follow me when I have food and they know my dogs but would love to have the relationship you do. 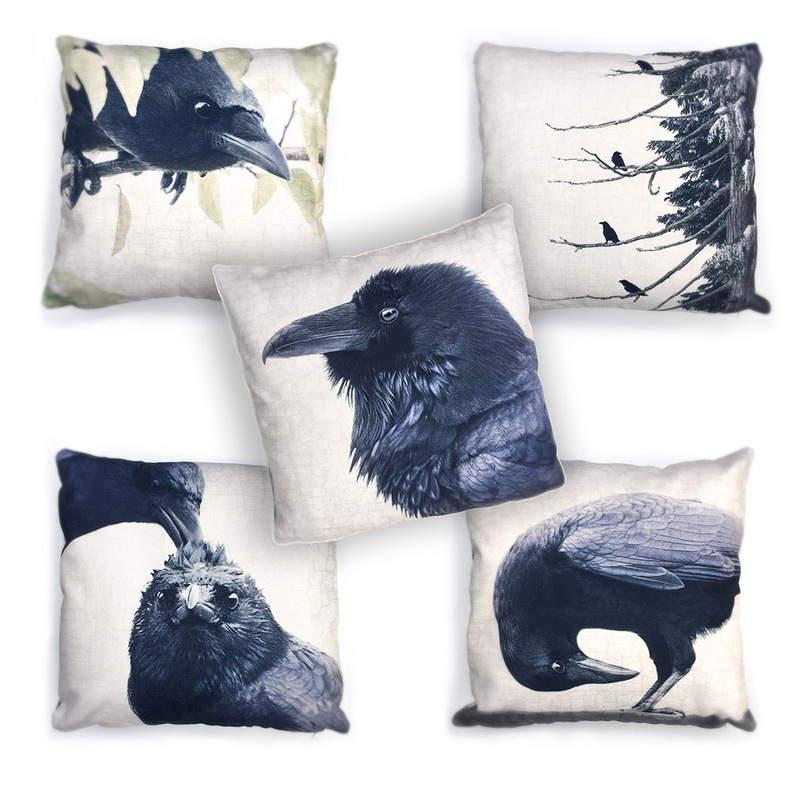 Crows do mate forever. They are so family orientated that they put us to shame. I love this story and am so happy George is adapting along with his love of his life. We should all learn a lesson from this in so many ways. Handicapped people, outcast people, and someone we think is strange.. they all have a story, love and live their life to the fullest. Ok – I have rambled on but then I love my crow just like you do. Thank-you for this heart-warming story – love it! Hi! I thought you might like to know that someone stole your pictures and made up a story about them which has gone viral on Facebook. They even misidentified George and Mabel as ravens, in addition to misgendering them. The story has gotten 27K shares at this point. Thanks so much. I just got a FB message about it too and have looked it up. Wow, it’s been shared 27K times.Sigh. It seems that it’s done the rounds of all the Crow and Bird lover FB groups, so it’s hard to say who first “stole” the story. I guess it’s nice that George and Mabel are so famous, but too bad the story is wrong. In one post they identify them as ravens. Another sigh … Thanks so much for letting me know about this. The Shares I’ve seen have all come from Wolf Hollow Wildlife Rehabilitation Center. And it looks like they corrected it and gave you attribution! That’s great. I love your blog and hope this attracts more readers and customers. Oh that’s just beautiful. Crows are incredibly smart birds. We received City Crows 2019 calendar in the mail today and it is indeed a work of art and love. We live in the Cariboo and crows are everywhere, after seeing your photos and the stories of Mavis and George we shall regard these feathered friends with awe and admiration forever more! Hi Gerry — thanks so much. I’m so happy that you’re enjoying your crow calendar. Regards to the Cariboo crows. I used to live up there many years ago, in a little cabin I build outside of Likely. Beautiful country!